We only get one planet to call home. Help keep it clean. 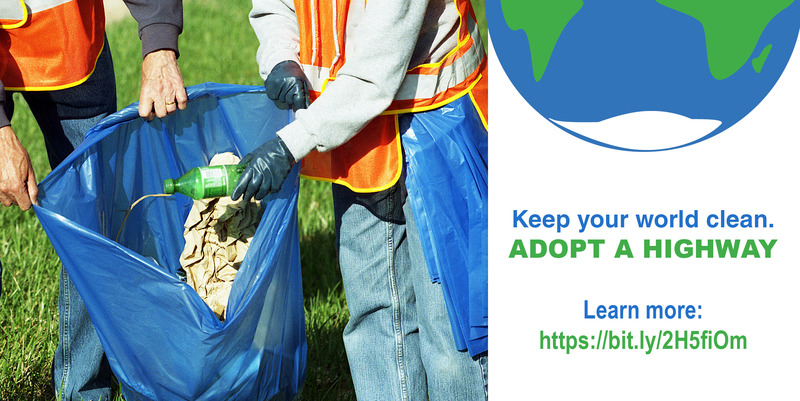 Adopt A Highway. Want a job where you can make a huge difference? We are hiring! 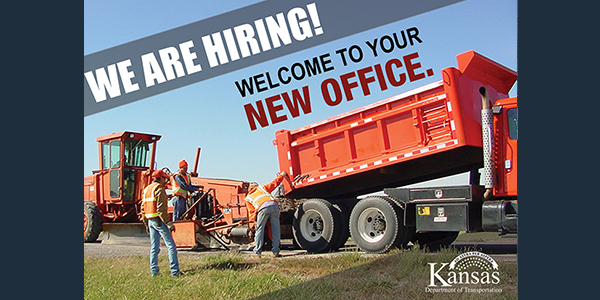 Check out our job openings today! 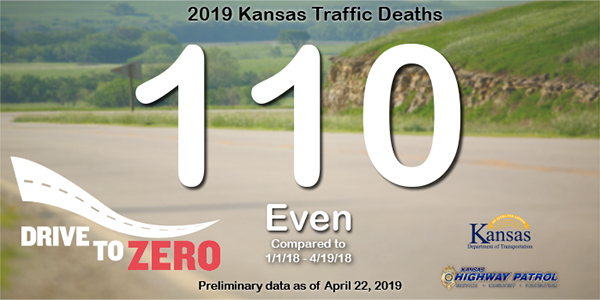 The Kansas Department of Transportation and numerous transportation partners who work along the roadways know why work zone safety is so important. As part of National Work Zone Awareness Week, the Kansas Department of Transportation will be hosting a work zone safety event at the Area Four Office in Topeka. Topeka – Several buildings and bridges across Kansas will be lit up in orange lights to help raise awareness on work zone safety for the week of April 8-12.
projects specific to your area. Your source for smarter travel in Kansas. For information about trucking permits or Commercial Driver's Licenses. For information about traffic fatalities and traffic safety efforts. For lettings and proposal information, policies, specifications and manuals, materials, highway flagger information and more. 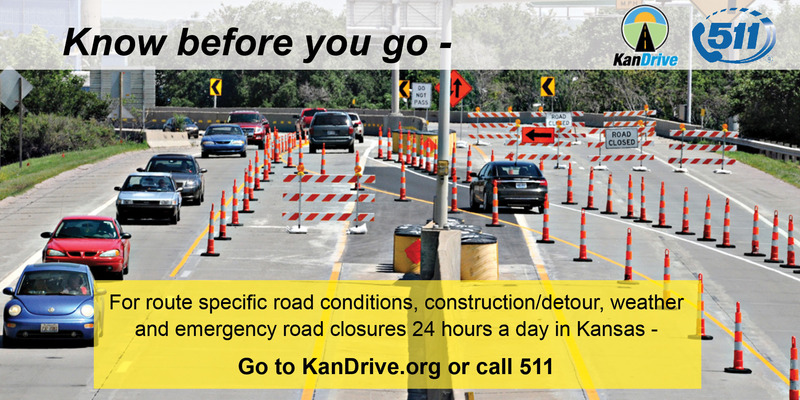 The portal for all transportation project information across Kansas. For information about how Kansas is performing in several key transportation areas. For information to bid on KDOT projects. For the latest weather conditions in Kansas. For questions about Kansas Driver's Licenses. For information about the Kansas Turnpike Authority.